Lyne Starling, James Johnson, Alexander McLaughlin and John Kerr formed proprietorship and successfully lobbied the Ohio state legislature to locate the new capital of the High Ground on the east side of the Scioto River, just across from Franklinton. 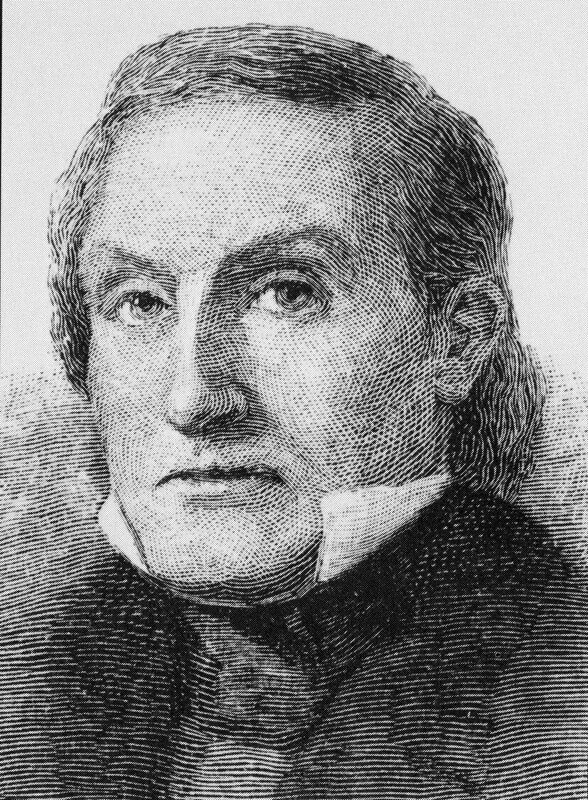 General Joseph Foos, who operated a ferry across the Scioto is credited with suggesting the name Columbus for the proposed settlement. The date was February 14, 1812. The propriortorship proposed to lay out the new town, to donate ten acres to the state for a public square with a state capitol and provide an additional ten acres for a penitentiary. The four proprietors agreed to spend $50,000 on the new town and to have the penitentiary completed by January, 1815 and the state capitol and offices by December, 1817. 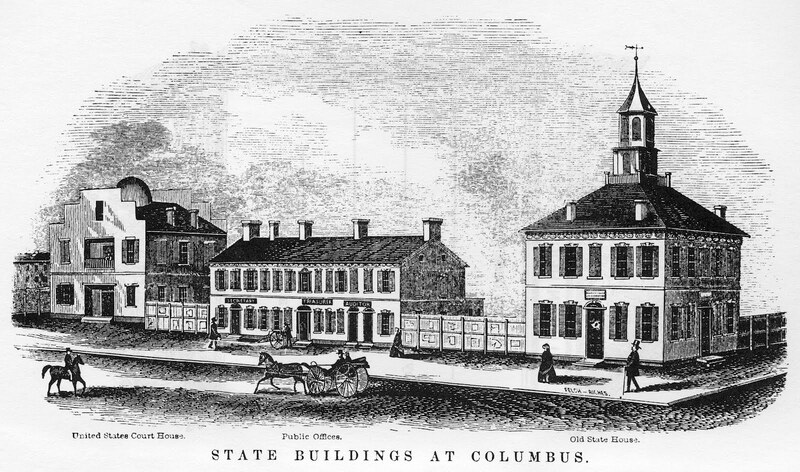 The law establishing the seat of Ohio’s state government was passed the same day that war broke out between the United States and Britain. Franklinton became headquarters for the northwestern army and up to three thousand troops would occupy the town for short periods. The sale of lots began June 18, 1812 and prices ranged from two hundred dollars to one thousand dollars, with one fifth of the price to be paid at the time of the sale and the remainder to be paid in four equal annual installments. 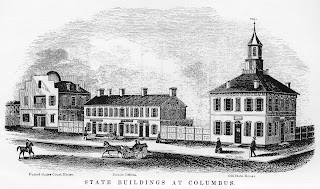 The statehouse was completed in 1815 and the following year Governor Thomas Worthington invited a number of women to a social sewing circle to put together the first carpet for the building.